It all started when I met somebody (Rob) who was building a buggy. 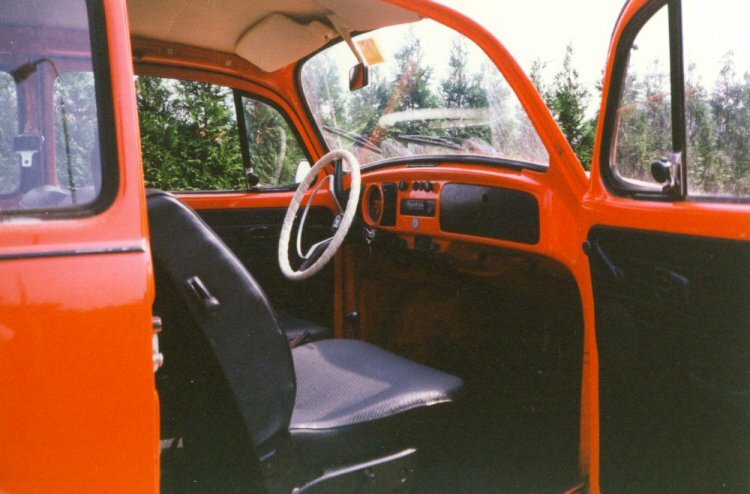 It was a bright yellow buggy on a shortened 1962 chassis. When the buggy was finished Rob took me for a ride. But this was very cold because it was freezing 10 degrees below zero (14 Fahrenheit) and there was no top on the buggy. It was great. The simple concept of the buggy, the big rear wheels (15 x 10J) and the sound of a flat four behind you. But I wanted a bit more comfort. 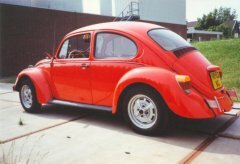 I read the magazine dune buggies and Hot VW's and I discovered the Baja Bug. 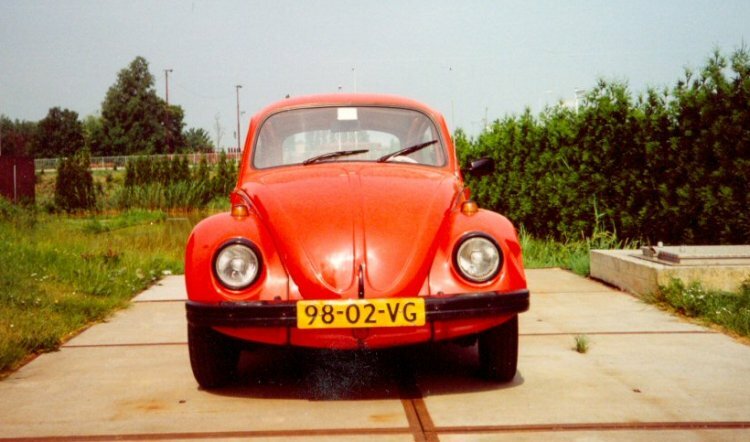 After looking for a while I found at a car dealer / scrap yard in Rotterdam an orange 1972 Beetle. There was even a 3 day MOT on it I paid 2000 dutch Gilders for it. 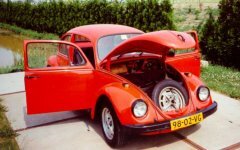 A mechanic was so friendly to drive the Beetle to a storage space for me. It sound crazy but I never drove this Beetle on a public road. 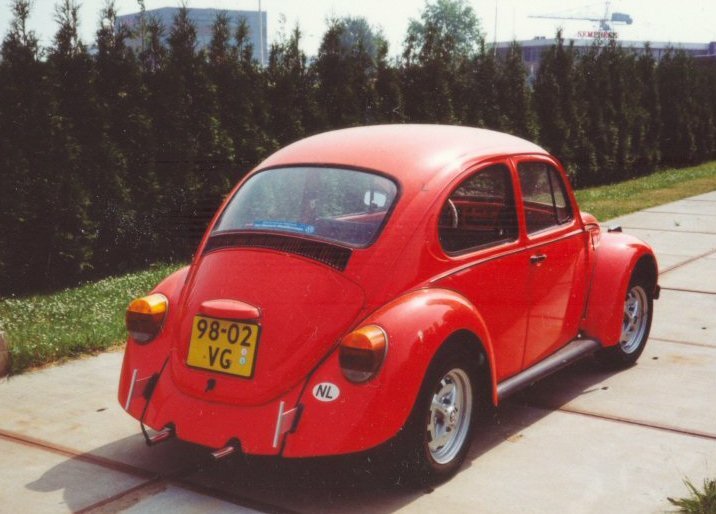 Fact: Just before I was born I was driven in a Beetle. 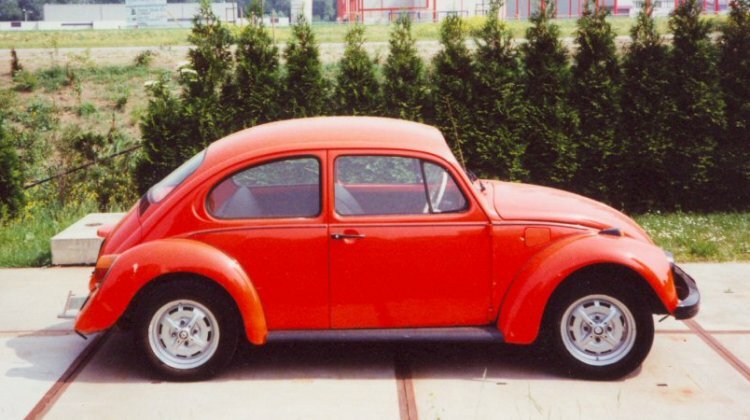 And just after I was born I was also driven in a Beetle to my home. This is when I was infected with the Bug virus. 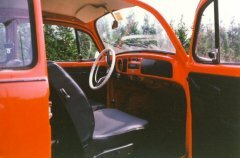 Here you can see a few pictures of the Beetle when I just bought it. 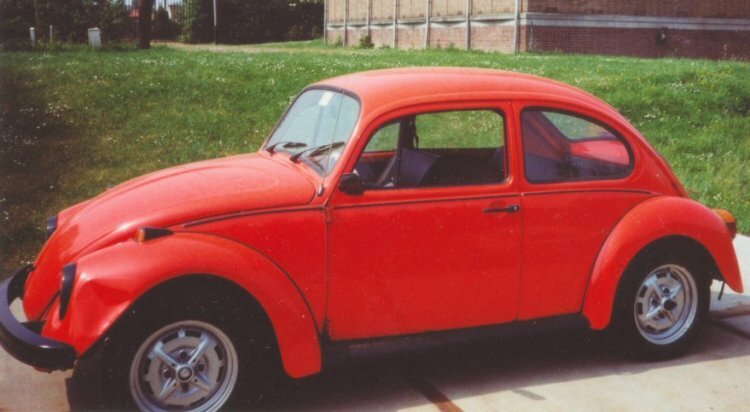 Just bought the Beetle. Only two little dents in the fenders. It looked alright.... Later I would find out that the body work was not that good. At the rear no bumper. I found the bumper on the back seat. For the rest the Beetle was complete. The Beetle is from 1972. This is the year that the Beetle had become the most produced model in the world. The spare wheel takes up almost all the space in the boot. The air from the tire is used to spray water on the front window. All accents on the Beetle are black. The engine is a 1200 cc. This was the last day before the stripping started.